Iron Ox, a California-based technology startup, is pioneering the future of robotics and indoor agriculture. 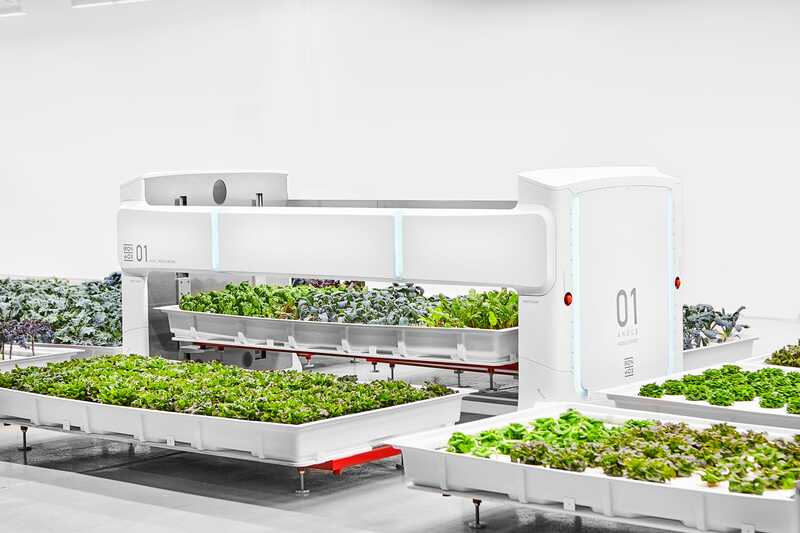 After years of research and development, the company is launching the world’s first autonomous farm featuring a 1,000-pound (450kg) mobile robot, nicknamed Angus. As alumni of robotics company Willow Garage, Iron Ox co-founders Brandon Alexander and Jon Binney realised they wanted to do more with the technology they were developing. They saw an opportunity in the agriculture industry, which had been using the same antiquated system for dozens, if not hundreds, of years. The two friends took a road trip through California, asking farmers about the biggest pain points in their industry. The vast majority had the same answer: Newer generations simply aren’t interested in farming, creating a massive labour shortage. That’s where Angus comes in. While the typical farmer has to check crops multiple times a day, making sure they have the proper amounts of water, nutrients, and nitrogen, Angus speeds up the process by transferring crops from the harvesting area to the production center. 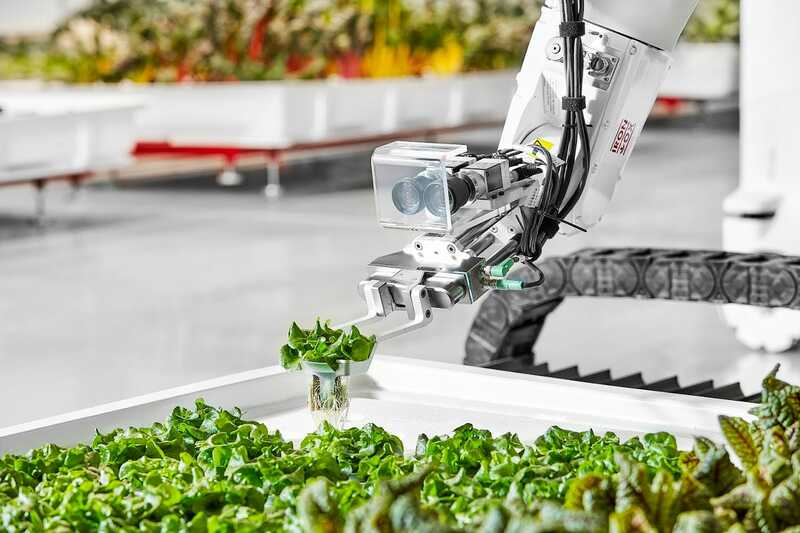 “A lot of the technology we essentially had to develop from scratch, but now we have a real robot working on real plants that are thriving in our environment,” said Alexander. Take a look at how the technology works below. Crops are held in an 8,000-square-foot warehouse designed to take advantage of natural light. Iron Ox has found that sunlight is the most cost-efficient method for harvesting energy. 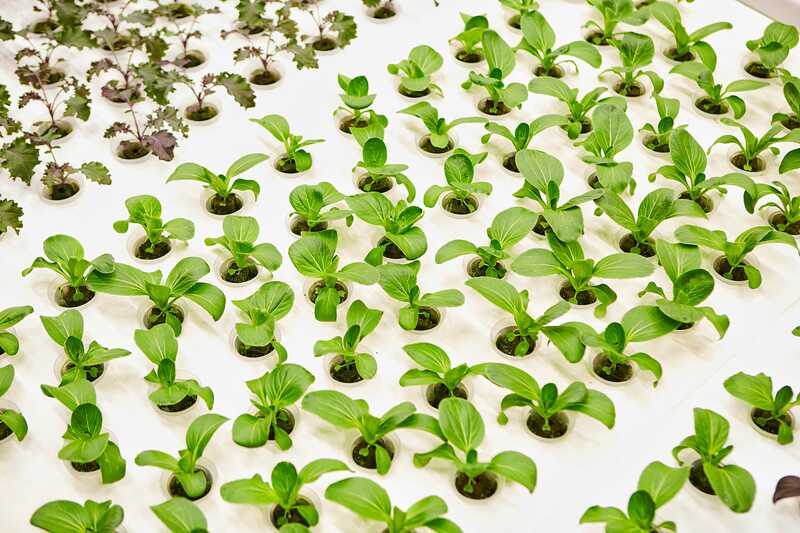 Instead of using soil, the company relies on a hydroponic system, which transfers water, nutrients, and oxygen directly to the root. The company grows over two dozen varietals a day, or around 26,000 heads of lettuce a year — the equivalent of a one-acre outdoor farm. Each varietal has its own unique behaviour. Genovese basil, for instance, takes longer to grow than butterhead lettuce. With its new technology, Iron Ox can grow 30 times more produce per acre than traditional farms. A cloud-based system called “The Brain” collects data from hydroponic modules. The company currently has more than 25 customised grow modules, which each weigh around 800 pounds. The Brain sends information directly to Angus, so he knows which crops are ready for production. “When The Brain says, ‘Hey, module 14 is harvesting this beautiful baby bock choy,’ our robot can actually go find that module and lift the whole thing up,” said Alexander. The robotic arm then scans the module, cataloging down to the sub-millimetre where each crop is located. Its camera also collects detailed, 3D data for every herb or head of lettuce. According to Alexander, this helps protect against disease and improve the company’s yield. Iron Ox hopes to use its technology to address the global food shortage. The average travel distance for fresh produce is around 2,000 miles. Iron Ox aims to change that by streamlining the production process without sacrificing quality or flavour.